I hear a lot of people say: “I wish I knew how to make bread.” That’s because homemade bread is about the yummiest thing in the world. But making bread seems intimidating, and figuring out when to fit learning something new in amongst all the laundry and errands and carpool, etc., just seems like too much work. But hey, the laundry can wait for 15 minutes, right? In that much time you can watch today’s video, which will walk you through all the steps to make the most amazing homemade dinner rolls. And once you know how to make dinner rolls, you can use the same recipe to make bread, cinnamon rolls, garlic herb rolls, garlic breadsticks, raspberry sweet rolls, etc. 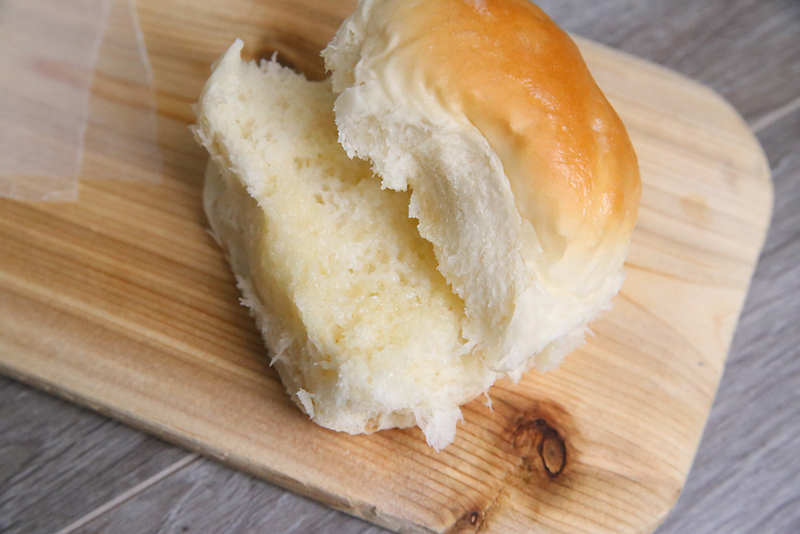 This is a tried and true dinner roll recipe that will not disappoint! 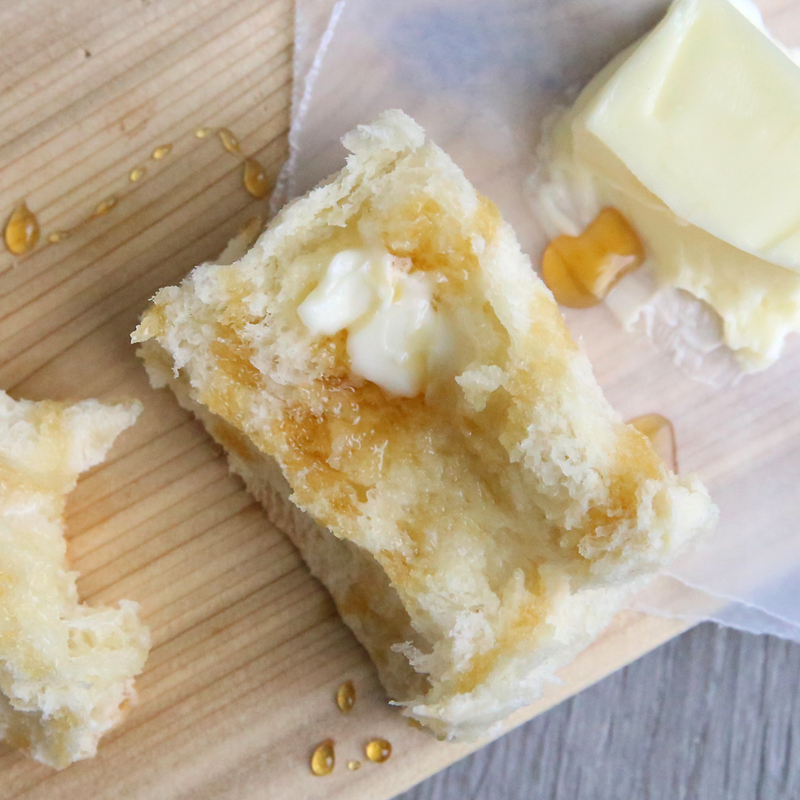 There’s really not much that can compare to a soft, pillowy roll straight out of the oven and smothered in butter. I figured with the holidays coming up some of you might like to learn how to make rolls from scratch. 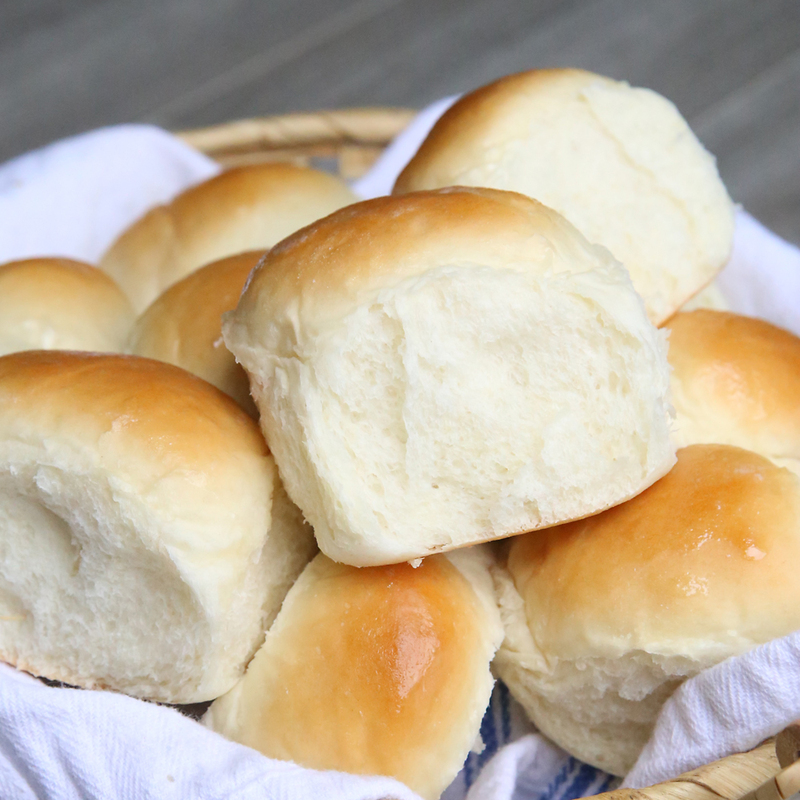 Although I warn you – if you start bringing homemade rolls to family dinners, you’re going to be asked to bring them every year from now to eternity. 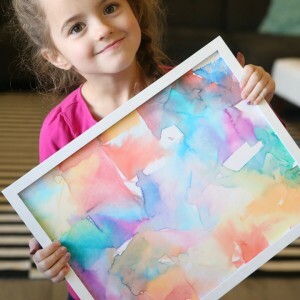 I have a free printable recipe card at the end of the post, but first I have a video that will walk you step by step through the process. Making bread isn’t hard, but it has a number of steps and that can be intimidating. The best way to learn how to make bread is to watch someone do it while they explain everything to you. Since you can’t all come to my kitchen (and it’s probably too messy to invite anyone over anyway) I’ve tried to capture the whole process on video. It’s a little bit longer video than I usually make – about 10 minutes – because I wanted to try to cover everything. But if you’re willing to listen to me blather for that long, you should be ready to make your own easy homemade dinner rolls at the end! 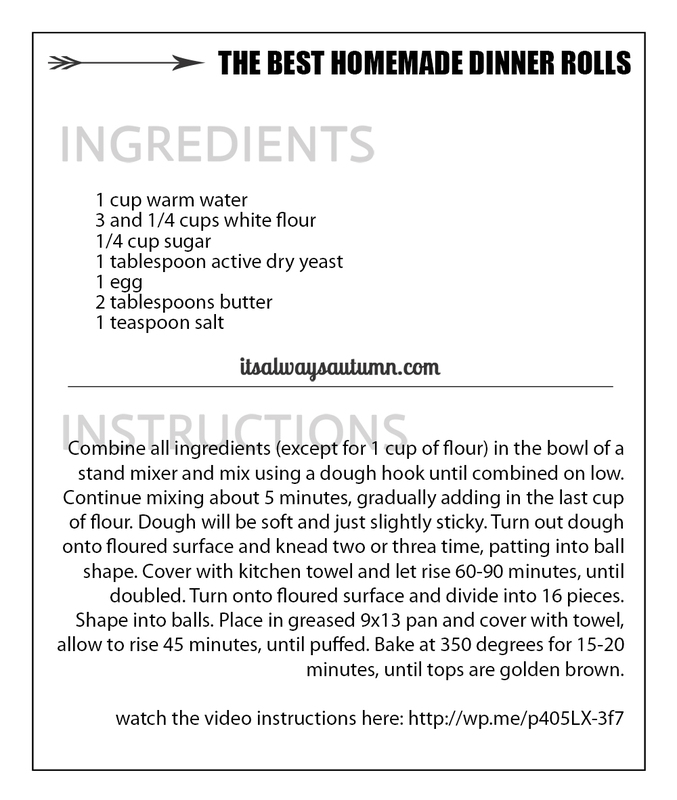 Click here for a printable version of the recipe card you see below. And if you want to learn how to do all the prep work in advance and cook the rolls later, click here! This is awesome, I’m always looking for a roll recipe that doesn’t make 4 dozen :-). When I was a teenager I worked at Fuddruckers in the bakery, we had make, proof, and roll the buns every morning and if we were running out in the evening. We did have a dough cutter that cut the dough into the right size pieces (one for small, two for large), but I’ll never forget how to roll the dough into perfect balls (they have to have a little circle on the bottom that’s almost a tiny hole). Man did we have fun back then. Oh my best rolls ever and are so easy. I made both white and wheat and both turned our fabulous! This recipe is a winner. Thank you Autumn! 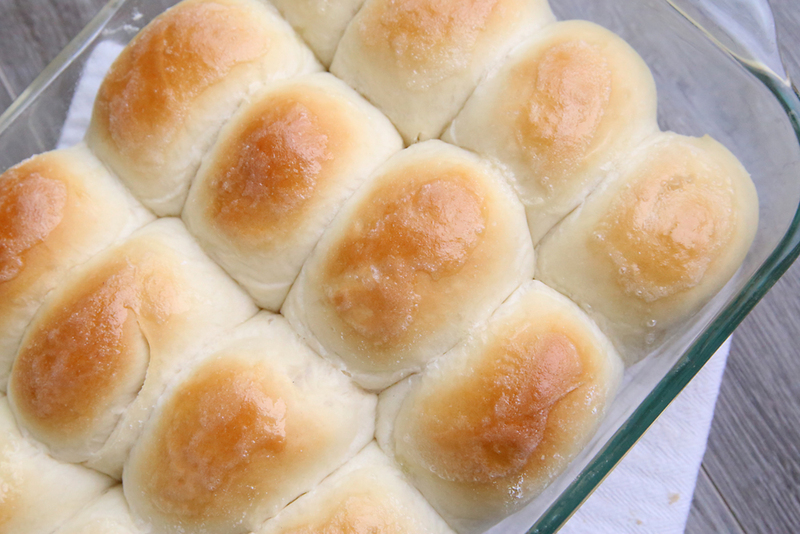 These dinner rolls look awesome. Thanks Val. I love your recipes and have such success with them. would be most appreciated. Thanks! 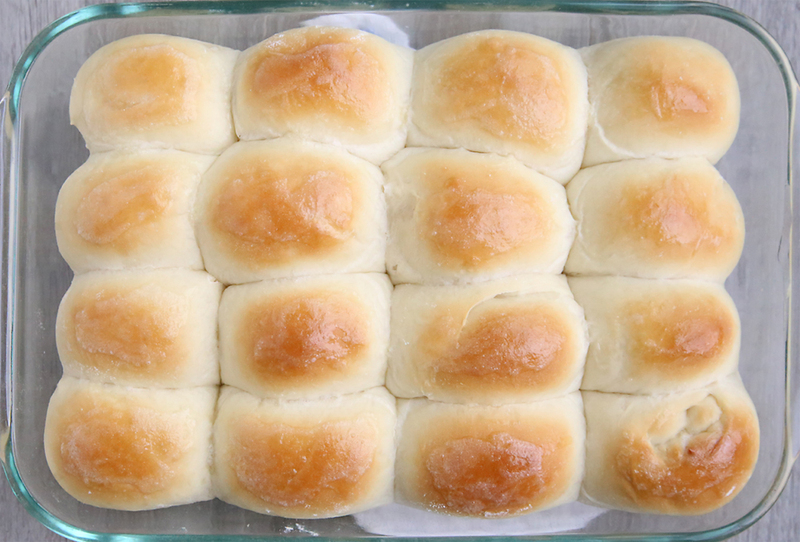 Absolutely the best and easiest rolls ever! Came out perfectly tender, soft and delicious the first time! Thank you for a great recipe.? I’m going to try this. Did you use all purpose or self rising flour? My first time trying to make rolls from scratch here. Silly question but do you melt the butter? I wonder if solid butter will be mixed in well enough with just a dough hook? These were so easy and so yummy! I kneaded them by hand and refrigerated overnight for the next night’s meal. I will definitely make these again. These rolls are just what I have been looking for. 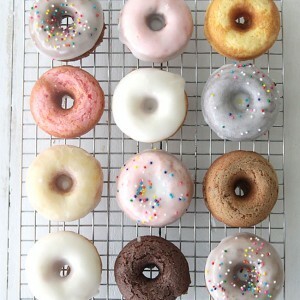 mine are usually hard or y dense Only one question, do you have to use so much sugar, here in the UK we don’t like sweet bread, There definatly on my todays, to do list. Thank you for making the video. 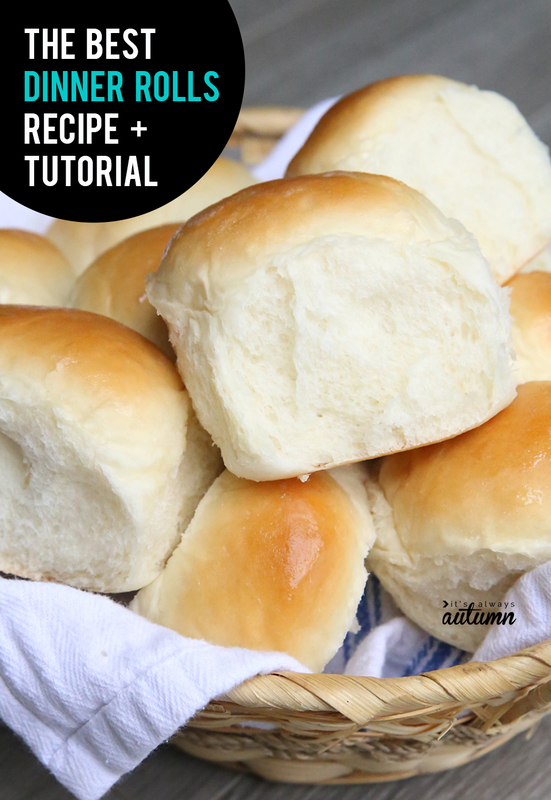 Autumn, thank you so much for this recipe – I just made these rolls and they turned out perfect. Great recipe and great video. Thanks again. Thank you for posting this and your video!!!!! I just made these and they are AMAZING! My daughter and husband think I am a genius! 😉 Thank you for that! I love to bake breads of any type. These were amazing. They were easy to make, so anyone could make these, beginners or pro’s. This recipe will be a favorite in our family for years to come. I made sure, i sent it to all of my family. Thank you for blessing us with it. Thank you for this!! I made them yesterday and they were perfect…..and all gone already! Sooooo good! Any tips for doubling this recipe?? This recipe was delicious and so easy thanks to your great video! I did a test run for Christmas! Will definitely be making these! Thank you so much for this recipe! Made these for Christmas dinner as a last minute “what the hey!” moment…. 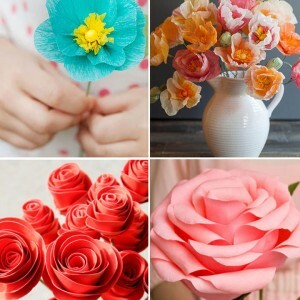 So easy, so perfect, and everyone loved them! I just made the 16 Dinner Rolls. Oops! There are only 12 left!!!!!!!! I kept spreading Butter and they made me keep eating ’em!!!! I think the next time, I will had two packs of ADY, just to get them a little more airy. Is the butter we add to the mix cold, or room temperature? When you stopped the mixer the first time you commented that the butter wasn´t incorporated yet. That said cold to me. I am used to having baking ingredients at room temperature. Am I just being nit picky here? Thanks for sharing all you wonderful bread recipes. Barb K.
Hey Barb! 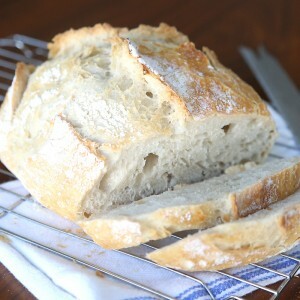 Thanks for your great comments – I’ve been enjoying reading them and am so glad you’re having a good time baking bread! If you start with warm water it doesn’t matter if your butter is cold or at room temperature. I use cold just because I’m too lazy to warm it, and it mixes in just fine, but room temperature butter would be great too. Thanks! Love your recipe and especially liked watching the video. I have made these 4 times and they turned out perfectly except for the last time. I think I may have added too much flour! They looked a little dry and were not as smooth. Would it have been ok to add a little more warm water?? In looking back, it think my first three times, I only used 3 cups of flour, instead of the 3 1/4. In the video, it looks like you use 3 cups…it was that extra 1/4 that threw me off. Hi Autumn, I just made these dinner rolls today and it turned out absolutely fantastic! It’s my first attempt at bread making and your video totally helped a beginner like me. Such an awesome video explaining the steps and tips! I had to adjust the flour amounts probably due to humidity where I live (South East Asia) and yeast to the usual type found here. The video made it super easy for the adjustments since I now know what to look out for in the dough! Thanks again Autumn. I’d like to know , if I make a Bread out of the dough, how long to cook it? Don’t think 15-20 minutes would do right? Can this work as a loaf as well? Do you think I Can use this dough for cinnamon buns? Help! I tried this I thought exactly and they came out more like biscuits. What did I do wrong? I mean they were good but they definitely didn’t come out as the rolls pictured but more like homemade biscuits. Can I use bread flour or only all purpose flour? And what is the difference? Hi Autumn! I’m a station cook in Australia and just wanted to say thankyou, these rolls are a staple in my kitchen! So wonderfully easy and the boys always demolish them in 2 seconds flat. Life saver! First time making, my dough didn’t rise much and I kept some for tomorrow and baking the rest tonight. The first problem I ran into, was the second rise was slow going, but it got there when I placed next to the fireplace. When making each doughball it was still sticky inside the dough (not sure if that is part of the rising problem) It still seemed smaller than yours. The second rise was minimal (but I had more space in between) so I put it in the warming drawer on low. They did rise a bit. They didn’t have the fluffiness to it, but the flavor was there. I have 6 left over from today’s batch and will try giving them more rising time and see if it makes a difference. UPDATE: The second rolls I saved for later….I put them in a ziplock baggie in the warming drawer to rise. They did great then cooked them. It worked out! Next time I would use a metal pan or cupcake pan as my family likes the brown on the bottom too. I used a ceramic dish hoping it would work, while it did great, I put them back in the oven on a cookie sheet for just a tab more browning.